What a fun challenge, I love the idea of using an Operation Write Home sketch for this too, great idea! Hero Arts we LOVE your stamps!! (: Thanks for partnering with Operation Write Home! 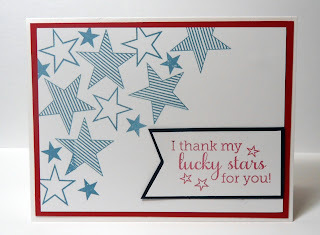 Love both of these great cards -- gave me some ideas of what to do with my new stamps! I especially like the pop of yellow with the red, white and blue. How fun! I hope I get to do this. Great card samples. It's wonderful seeing the different ways that you can use one set. Thank you to Hero Arts for these wonderful new stamp sets. I love your stamps because they are such high quality and stamp such a beautiful image. I can't wait to get these new sets - maybe I will win a set! Thank you OWH for all the work you do and that you continue to give such inspiration with your wonderful cards and sketches. What a fun challenge! What great samples! What a great combo, Hero Arts and OWH, beautiful, high quality stamps to make beautiful, high quality cards to send to our heroes! Yep, a great combo!! Thanks for the sketches and the "cards in action." It was nice to see some of the heroes enjoying the cards. You've created a beautiful partnership which I hope will continue. I think the new stamps are adorable and can't wait to be able to get them! What a wonderful thing Hero Arts did by designing stamps with OWH. There are many stamp companies out there but this just shows what a fine company they are. I cannot wait to mail my Hero Arts card. I need to check to see if the stamp set has arrived in Eastern Iowa! Thanks for everthing. Great challenge, and inspiration. OWH & Hero Arts a wonderful combination! Cant wait to get some of the new stamps. So happy that Hero Arts is getting on board with OWH. What a perfect company name - Hero. Our military Heros will be honored with these new stamps. Love the cards. The stars and the sentiment go so well with each other - great set. I'm loving my new Hero Arts/OWH stamps! They stamp a nice sharp image, and they really stick to the acrylic block, then back onto the carrier sheet. It's pretty awesome that Hero Arts partnered with OWH to design these three great sets! Thanks, hero arts, for being SO fabulous to eagerly work with OWH and produce these amazing stamp sets! 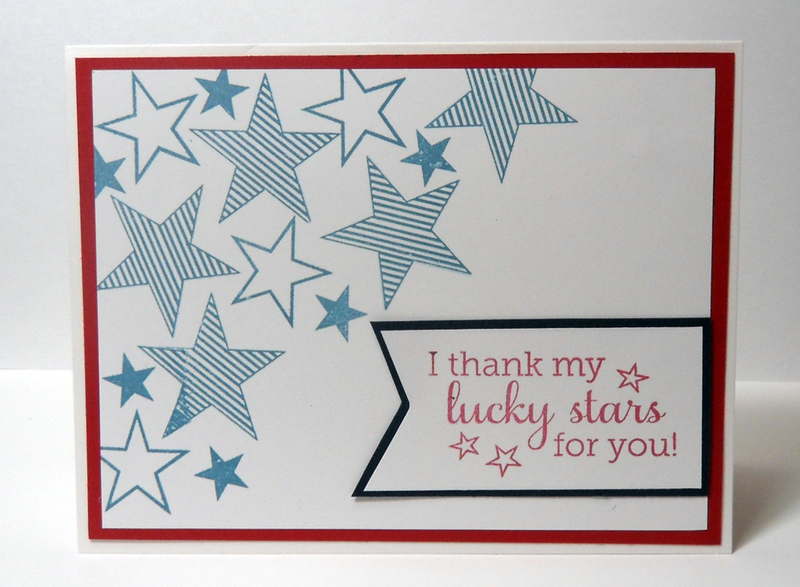 I have some arriving soon, I think, and I can't wait to make some cards! Thank you Hero Arts for partnering up with OWH. Your generosity will not be forgotten. Thank you, Hero Arts, for appreciating the vision that Sandy had and turning it into the perfect stamp sets for OWH card makers! I can't wait to buy them all!! 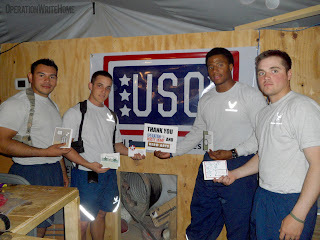 You are certainly heroes in our book for helping us support our deployed heroes. What a fun challenge...just made the deadline! Thank you Hero Arts for the marvelous new sets that go so well with the OWH mission! 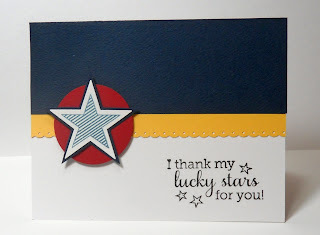 This challenge gave me the chance to use my new Hero Arts called Congrats...love the flourishes in this one!